This summer BLAKE took to the main stage at Henley Festival in front of a sellout audience of 7500 music fans, to give their biggest show in the UK of 2016. They were joined by the BBC Concert Orchestra, plus friend and legendary artist Dame Shirley Bassey.Performing a selection of their most popular crossover-classical songs (including Bring Him Home, Chasing Cars, Nessun Dorma, Nella Fantasia, The Impossible Dream, Up Where We Belong, She, Time To Say Goodbye and more) the boys had a fantastic time with the audience, who had all dressed in traditional black tie for the glitzy evening. 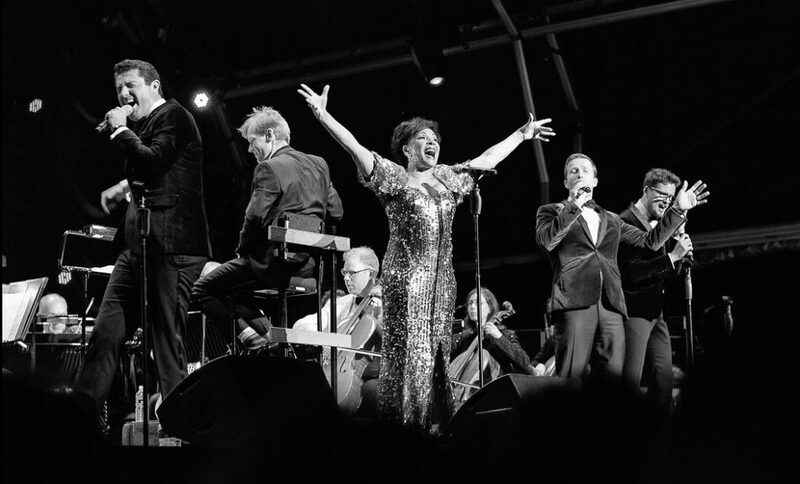 Joined by Dame Shirley Bassey later in the evening, the quartet went on to sing a number of special duets, arranged uniquely for the show. The combined appearance of BLAKE and Dame Shirley Bassey follows their Christmas Album and single, which saw them performing together on the Graham Norton show, Strictly Come Dancing and the One Show. More to come very soon!